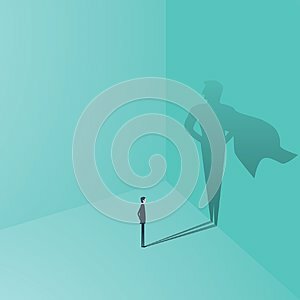 Businessman with superhero shadow vector concept. Business symbol of ambition, success, motivation, leadership, courage and challenge. Eps10 vector illustration.